From Night Club performer, to Live Show Producer. From famous Biker Bar Owner, to Television Producer. From Youth Camp Director for the Circle Square Ranch ministry to Pastor. From Screenwriter to Audio Drama Producer. 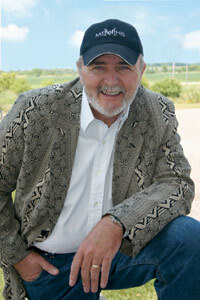 When all is said and done, Glen Bonham has done it all — and loved every minute of it! And when most men his age are looking toward retirement, Glen has set his sights on a promising new career as a writer of fiction. “The experiences of the past have prepared me for the future,” explains Glen. Although he was always a storyteller, it wasn’t until he was in his mid-fifties that he decided to try his hand at writing, which was a little unusual because the desire to write tends to express itself at a markedly younger age. Never-the-less, Glen was determined to write. Eventually his talent as a screenwriter caught the attention of The Visual Bible Company and Glen ended up writing three screenplays which took him to Morocco for the filming as both writer and historical consultant. Upon his return to Canada he wrote a screenplay for Sunny Days Productions called, The Rev , which has been turned into a pilot for a TV sitcom by Emmy Award-winning producer Deborah Gabler, and directed by Kelly Sandeflur, producer of all 215 episodes of Family Matters . Then, Glen produced and directed Blood and Fire , a fully dramatized audio production utilizing an original sound score and thirty eight actors to tell the incredible story of William and Catherine Booth and the founding of The Salvation Army, which began in the slums of East End London. 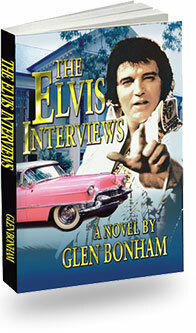 Glen was just about to begin his next audio drama project, when he came across a remarkable book that chronicled, day-by-day, the life of Elvis Presley. 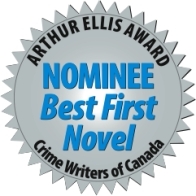 He was immediately struck with an idea for a novel and dropped everything to pursue a journey that would take him through two years of research and a full year of writing, culminating in his first full-length novel, The Elvis Interviews . Readers’ reviews have been so positive that Glen has already started a sequel called, The Missing Years .